Home > History, Other Blogs	> Weaving Fan a.k.a. Colin Berry? Weaving Fan a.k.a. Colin Berry? that he is Weaving Fan. I believe him. I trust him. We all should. I knew this sounded really familiar. This month two years ago we were talking about the 3 over 1 herringbone cloth in the Victoria and Albert Museum in London (see previous posting). Weave. The cloth’s weave is known as "3 to 1 twill" because each transversal weft thread passes alternatively over three and under one of the longitudinal warp threads. This gives the weave the appearance of diagonal lines which reverse direction at regular intervals to create a herringbone pattern. Such complex herringbone three to one twill weaves are known from antiquity, for example, from Egypt and Syria, but they are not known from the Middle Ages. The footnote (18) points to Ian Wilson, ("The Shroud: The 2000-Year-Old Mystery Solved," Bantam Press: London, 2010, pp.74-75). This is surely not true- your source was certainly not someone who knew about textiles- 3/1 was used extensively especially in ecclesiastical vestments . As one commentator says `’Tablet-woven 3/1 was used to create some of the most elaborately patterned bands of the Middle Ages. Collingwood’s Techniques of Tablet Weaving (TTW) illustrates some amazing examples, including the maniple from Arlon, which is my favorite piece of tablet weaving." The choice of twills is not difficult to make – 3/1 is fairly standard. Gilbert Raes said that the weave in itself could not be used to date the Shroud as examples go back to 800 Bc and certainly throughout the Roman period ( it was common for damask) and Middle Ages. The fact is that Tite of the British Museum could NOT FIND a medieval piece of linen AT ALL which was 3:1 herringbone twill and therefore visually identical to the Shroud, so that the C14 dating labs could not tell which was the Shroud. But if medieval European 3:1 herringbone twill linen was so common as you claim it was, it would have been NO PROBLEM for Tite to obtain a POSTAGE STAMP sized sample of at least ONE of them. Wilson seems to imply that there were no similar herringbone cloths around in the Middle Ages. This is not true- it is simply that most are in museums (e.g the Victorian and Albert Museum in London) and can not be cut up to provide a control sample. This is FALSE. See above. As I pointed out above, several aspects of your comment I found to be substandard and even offensive, and so according to my policies it should not have appeared (see below). I only allowed it to appear so that I could further refute your argument. I suspected this "Weaving fan" above may have been Colin Berry, who has been permanently banned from commenting on this blog because of his continual substandard and offensive comments. Now according to this post on Dan Porter’s blog it seems it was. Evidently Colin is not troubled by the ethics of posting comments to a blog where he has been banned, by the subterfuge of adopting a new pseudonym for the sole purpose of deceiving its Moderator. But just as the leopard cannot change his spots, so it seems that Colin Berry cannot change his style, by not posting offensive and substandard comments! So whatever pseudonym Colin uses he won’t last long on my blog. And now, of course, if we are not going bonkers by all this, we go to my blog. The link is two paragraphs up, but by now it is boring. i have to agree with Stephen Jones here. The British Museum is not that far from V&A. Sorry, I meant the “weaving fan” was correct. Now, what was the reason V&A could not cut up a tiny sample? Who is the “weaving fan” and how did he know that? We must know his name. Why is he hiding behind a pseudonym? Well, I know nothing about weaving but when did ignorance stop speculation? – as long as it is clearly flagged up as speculation. 1) “Tablet weaving”, if I’m correct, is both very old (something called the Rameses girdle springs to mind), and wholly unsuitable for making bolts of cloth with. Herringbone weave of various kinds is easy to do with it, but only in thin widths of a few inches. 2) Having removed that from the equation, I don’t think there are any examples of pre-medieval herringbone twill from Southern Europe or the Middle East, nor of the four-heddle loom necessary to make 3/1 twill. The earliest such twill and looms appear to be in China, and mostly used for silk. 3) In Europe, elaborate twills seem to be a northern thing, being found in Viking and Celtic excavations. Soem authenticists have suggested that the Shroud might have been an imported cloth from China or northern Europe. 4) I have not heard that there is no medieval 3/1 linen twill in European museums – only that there is no 3/1 linen twill that museums were happy to lose to act as a control for an unconnected exercise. What is meant by “unconnected exercise”? If I’ve got a sample of medieval tablecloth, I might spare a fragment for the dating of comparable cloths from a similar environment, but I might not want to send it off to act as a control for a religious relic. That is not convincing, the Shroud is not just “another” religious relic. If you can prove that the Shroud is not herringbone at all and what we see is a chevron weave then Charles would have to forget about going to V&A and that will also mean that M. Mechthild Flury-Lemberg may have been using the wrong glasses for a long time. Hugh is right, the shroud does resemble a Chevron (fishbone in french) more than a Herringbone the difference is significant in flooring designs, but in textile both terms are used interchangeably. I think it is significant they the shroud weave lacks wool fibres. Why would a European forger care about wool? Also weaving irregularities and imperfections apparent because of manual weaving process. For the record, I am not and never was “Weaving Fan” as claimed by Stephen Jones. I even put up a posting some 2 years ago to disabuse him of that. Quite why Dan has chosen to return to what started as a brief spat between the two of us (it began when I was rudely balled out for posting a second comment having overlooked his site’s draconian house rules) is a total mystery. Surely it’s not an attempt to portray me as a hypocrite when I continue to lodge protests against the tolerance shown here to a handful of site trolls, one in particular, whom Dan compares with “hecklers” at political meetings. How much heckling was permitted from the floor at that St.Louis conference he attended recently? Or is it considered OK to foul up debate on internet forum via personal and vitriolic attacks on genuine contributors, whether pro- or anti-authenticity, while operating from behind the safety of a pseudonym? But as I say, I was not “Weaving Fan” and am somewhat uncomfortable with the title of this posting. What useful purpose does it serve? Colin, Dan now has his foot near the brake and the blog has improved considerably. But I think any one using pseudonyms to also indulge in personal and vitriolic attacks should be warned and blocked from commenting if things continue the same. Good for us is that there is an antidote appearing from time to time here. It is your (Scotch-Irish?) sense of humour. Glad you like my, er, Scotch-Irish sense of humour Louis. But there’s a serious side to me too, in the metaphysical department that is. Knowing your serious misgivings ray Re Rogers on account of his alleged logical positivism, be on the lookout for my forthcoming book, to be entitled: “Fuzzy Logical Negativism – the Quantum Solution to Every Question in the Universe – For Those Who Already Know The Answers”. (CB Publications, New York, London and Little Codswallop). Maybe Dan can be prevailed upon, or arm-twisted as we say, to post a flavour of what’s in the pipe dream, (sorry, line) from time to time, say once a week, he being my very bestest friend, especially as we both know New Yoik. There will be a range of flavours on offer – sweet, sour, bitter – something for everyone. There will be no excuse for anyone not to buy my book. In return for advance orders with full pre-payment, I can do you a special deal on my publishing house too. Colin, I can understand your position when it comes to metaphysics as science-theology dialogue is one topic I write on. I also review books in this field, although the preference is Biblical archaeology (200BC – AD 200 roughly) and sometimes biblical studies. Right now I have a 1000+ page book on Jesus to read and review, obliging me to keep two books on Freud and one on the history of Jerusalem aside — till next year. Although I am a Christian (RC) by conviction, I find it necessary to hear both sides of the story because that is also part of the dialogue. When I was in England I saw people, atheists included, anxious to find someone who could listen to them, there was an unconscious quest for transcendence, which is what even the godless Jew Freud wrote about. When do you expect your book to be launched? What, ike a huge luxury cruise liner, say the Titanic? Or a rocket launch, like, er, well let’s skip that one, shall we? No, nothing quite so challenging (or risky) as a launch. I thought I’d take a leaf from the Ford Edsel book of marketing, and go for a softly, softly approach, spread over several weeks, nay months, a fender here. a grille there, you know, like a strip tease, reveal one’s hidden charms one tiny fleeting glimpse at a time. Then would finally come the big day when the veil is swept aside and the entire model is revealed in all its glory, and jaws would drop, and folk would exclaim “Yes, that’s IT!” (or was is “Is that it? “, I can never remember). It’s all there on the internet – the Edsel way of insinuating one’s devastatingly original creativity into the public consciousness by degrees. (“They all laughed when I said I wanted to be a comedian. Well, they’re not laughing now” – Bob Monkhouse). I don’t think it’s Colin but I wonder who? “In textile both terms are used interchangeably.” Not by people who make herringbone and/or chevron twills, they’re not. There is a clear distinction, unrelated to the shape of the ends of flooring tiles, defined by the alternate staggers of the weft threads. However, I agree that the distinction is small, and that the word ‘chevron’ is often subsumed into the generic ‘herringbone.’ It’s still curious that nobody has noticed the distinction, don’t you think? And Louis, I know, and you know, that an accurate dating of the Shroud would be a huge step forward in our understanding of an extremely important religious icon. But it may be that the textile curators of the Louvre and V&A (fr example) don’t necessarily concur with our views. As I say in my article, the presence of an apparent three in one herringbone or chevron dated to the fourteenth century in the V and A tells us no more than that such weaves existed in the fourteenth century, in this case a vestment. I was interested that ‘weaving fan’ seems to have known of others. It is a pity that we can’t track him or her down to find out more but there is the Collingwood reference (s)he gives. It is interesting that when my weaving contact was commissioned to weave vestments she was told to do it in three in one herringbone so there must be a tradition that associates vestments with this particular weave to this day ( unless she was meant to be reproducing a medieval vestment). Hugh, I at least do appreciate the point you have raised. If suggestions are allowed and Charles agrees, perhaps two people in the Shroud “crowd”, you and M.Mechthild Flury-Lemberg, one pro- and the other anti-authenticity, could be invited to go together with Charles to V&A. Hugh, the difference between herringbone and chevron, in the textile language AMONG HISTORIANS OF TEXTILES is not what you say. Herringbone is used to identify a kind of chevron, a “warp chevron” (as in the shroud). But as “herringbone” is not so well accepted in scientifical language, it is better to say, describing the shroud, “chevron twill” or “warp chevron twill”. What you call herringbone, defined by the alternate staggers of the weft threads, must be called “broken chevron twill” (that could be either a warp chevron or a weft chevron). I know that the matter is complicated, but the language among historians and among experts of MODERN weawing is not the same. I remember also that the only serious study about the textile structure of the Shroud DONE BY AN EXPERT OF HISTORY OF TEXTILES is still G. Vial, Le Linceul de Turin. Étude technique, in «Bulletin du Centre International d’Études des Textiles Anciens» 67 (1989), pp. 11-24; Id., À propos du linceul de Turin, in «Bulletin du Centre International d’Études des Textiles Anciens» 69 (1991), pp. 34-35; Id., À propos du Linceul, in «Montre-nous ton visage» 10 (1993), pp. 27-30. The first part was also translated in English in «Shroud Spectrum International» 38-39 (1991), pp. 7-20. ” Of the 2 types of faults seen in Fig.4 [Shroud], the implication is that the archaic method was used to make the cloth of the Shroud .Unfortunately, we do not yet know when the modern method began to be used. Daniel de Jonghe has remarked only that this type of fault disappeared in the chevrons of canvas used for painting of the 18th century”. My comment: This suggests that the “archaic” method disappeared in the 18th century. This also suggests that the so-called archaic method was still used in the Middle-ages as well as in ancient times. The “faults” does not tell us anything about the date of the TS. ” As for the herringbone weave; only superficial descriptions have been advanced, irrespective of the technical complexities of the type of loom necessary.There is a fundamental difference between a 2:2 twill and one of 3:1. The herringbone and lozenge weaves are known since the Iron age, if not earlier, but the fragments discovered are generally 2:2 and all are wool. the borders of the Antinoë cushions are 2:2 and are wool.. Damask cloth, for example those of Palmyra, Treves, Conthey, Ribeauville, Cologne, Holborough, are “derivatives” of 3:1 twill (..) but they are in silk. 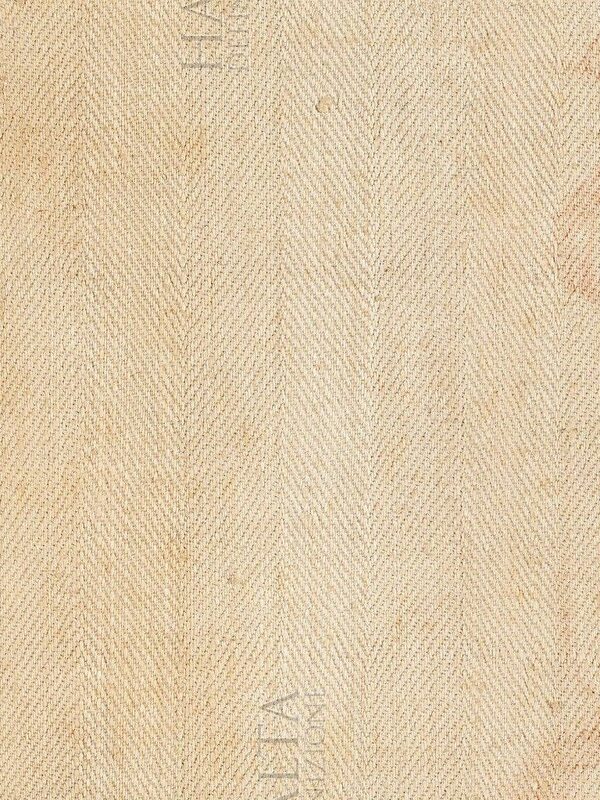 (..) The only herringbone in LINEN so far analysed and published is that cited in note 10. It is very late-second half of the 16th century- and much simpler than that of Turin. (…) If one takes into account the 3 constitutive elements of a textile-the structure, the primary material, and the reduction of warp and weft- one must acknowledge that the Shroud of Turin is truly “incomparable”. If I understand well, 3:1 “derivative” (what does it mean?) herringbone clothes could be produced in ancient times, but all of those clothes were in silk. On the other side the only known 3:1 herringbone LINEN cloth (apparently similar to the Shroud) comes from a painting of “the last supper” made by Martin de Vos” on a 3:1 linen herringbone twill weave dating from the end of the 16th century. It is noteworthy that Vial did not know of any other similar 3:1 linen cloth from the 14th century in Europe. Thanks Mike for recalling to us the two very interesting studies of Tyrer. In fact, I think that Vial and Tyrer do not truly disagree. However, Vial was certainly much more cautious than Tyrer. For example, I do not think that the comparison between the Holland backing cloth (or the patches) and the Shroud can be taken as an evidence. The only sure fact is that the method used to make the Shroud was the “archaic” method but this term is misleading since, from Vial’s sentence, one can infer that this archaic method disappeared only in the 18th century. If I interpret correctly, on the basis of the faults, the 1534 backing cloth has been made using the modern method and the TS the “archaic” one that, however, was still in use in the 18th century. Clearly, there was a large time overlapping of several centuries in the use of both methods. Strictly speaking, the textile studies show that the TS could have been made in the first century from a technical point of view This is also Mrs Flury-Lemberg’s opinion. But no more. Fair enough, I agree to that statement.